Because I'm ready for a day at the beach. Enough of this silly freezing rain and other yuck. Yesterday, despite all the running around, was a very productive day. I added another 2,000 words to Dreamer's Sea and am in the middle of the big scene. I'm very excited and I didn't want to stop, but it was getting late and if I hadn't I would've fallen asleep on my keyboard. Today is laundry day, so that means taking a notebook with me to the laundramat and working my fingers off to finish up this scene. Dare I say that this story could be finished in a week if I have another day like yesterday. No, never say anything like that because something evil will happen. I really need to learn how to put Youtube videos up. There's a song that is stuck in my head and I want to share. But I'm lucky to be able to know how to put pictures up. More Miracle. See, Marianne, my cat likes to lay all over my stuff just like your puppy does. I have the great advantage of having a super helper with my galley corrections. Okay, fine, I'm horrible with punctuation. I don't know if I use too many commas or not enough. I think I need to go back and take some classes. But my helper knows this stuff and now my galley corrections for Where One Road Leads is ready to go back to my editor. Print release date is May 27th! I can't say how excited I am! I think I've mentioned how much I love this story! In the meantime I got a bunch more written on Dreamer's Sea and have cleared the 96K mark. Time to move the goal. I know there's not much more to be done on it but I'm at the beginning of a very important scene and it's morphing in my head from one thing to something much better. I'm eager to get it written down. Now I know that I'll probably trim a LOT out of the story, but better to have too much to work with than not enough. Unfortunately today is one of those days when, once I get out of work, I'll be running around like a madwoman, meetings, picking kids up, dropping kids off and picking them up again. I can't wait for cheerleading to be over with, but we have Special Olympics coming up really soon (at least I know we have plenty of snow for it this year). But for now it's time to get dressed for work. This is my cat, Miracle. I don't know why I posted this, but I thought my blog needed a picture. My "official" word count is 94806 on Dreamer's Sea, but I have several handwritten pages that need to be typed up so right now I'm over 95k. But it is coming to an end though I've just started to write a pivotal scene which'll be the finale. Of course it'll be a long scene. And there'll be a epilogue. So, I guess I have to up my goal. Shall we say 100K?? Yikes. I'm still figuring out what to do for a contest for a signed copy of Sweet Forever. I haven't decided if I should start it next Monday or have a special Valentines Day week contest. I'll come up with something. I gave a copy of Sweet Forever to my mom for her birthday last Wednesday. She called after she started it on Thursday and told me that I wrote like a professional. LOL. Yesterday I stopped over there. She hugged me and told me that she finished the book and the ending made her weepy. She liked it! She really liked it! And I know my mom, she wouldn't say it if she didn't mean it. Yeah! Well, the weekend, once again, was much too short. One day just doesn't cut it. And we spent most of the day on the road. My father in law is in the hospital up in Vermont so we drove up to visit him. It snowed all the way. It's a good 2 hour drive both ways. Then it was another hour or so going to pick up my daughter. I was ready to crash....not the car...my body on the couch. But now I have to get ready for work. The lovely UPS man delivered my books to my work address (luckily I work just down the street so it's the same driver). I also made a breakthrough and showed three of my coworkers my books. Up til now no one at work knew that I'm a published author. They were very excited and I may get at least one more sale out of it. That's a good thing! So, I'm going to be putting together a contest for a signed copy of Sweet Forever . I'm just not sure if I have to wait for it to be released first or if I can give away one of these copies now. So, stay tuned for more on that. Besides the fact that if I was able to stay home during the day while the kids were gone I'd probably get a lot more done, I'd be here when the UPS delivery person arrives. Yesterday when I got home I found a nice piece of paper stuck to my door from UPS. They'd been by to make a delivery but there hadn't been anyone there to sign for it and it needs to be signed for. The package is from Samhain. There's only one thing I can think of that Samhain would be sending me in a box. MY AUTHOR'S COPIES OF SWEET FOREVER!!!!! WOOOO HOOO!!!!! And I wasn't there to take them! They'll be back again today, but guess what I WON'T BE HERE TO TAKE THEM! I can't guarantee that my husband, who sleeps during that time of the day, will be able to stay awake enough to sign for them. I may ambush UPS man when he arrives at my work, which is just down the street, and see if he'll give me the package there. I just want my babies. They need me! And this means that it'll be contest time when I do have them! 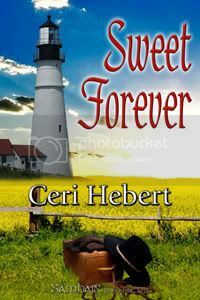 Stay tuned for a contest to win a signed copy of Sweet Forever! I've been looking at my options, ways to get my work noticed, whether it be taking it to an agent or straight to a publisher. Someone recommended that, if I couldn't go to conferences and pitch my work (which I can't at this time), then entering into contests is a good way to get noticed. Fine, I've done that before. It was kind of fun. While I didn't bowl over the judges, I certainly wasn't told never ever to get near a Word document again. From all the comments I received I was very confident that I could go on and become published. 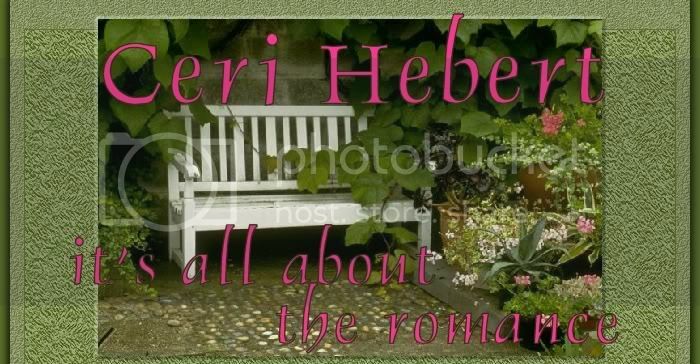 So I went to several websites for RWA chapters to check out their contests. Most that I found required an RWA membership. I've heard mixed opinions about whether it was worth it to join up with RWA and my state chapter. I can see definite perks, but I've heard that there are some in RWA that look down their noses on e-publishers. Not all, but some. The NH chapter I know has several e-published authors. And then there's the NH branch. I doubt very much that I'd be able to get to the meetings, I'm not exactly in the neighborhood. So, is it worth it? Would it make me more marketable? Are those contests really worth it? Well, we're back in a deep freeze here. I miss those nice 50 degree days. Right now it's 11 degrees. Times like this I want to move down to Arizona. Sometimes Ya Gotta Ask...What's The Point? While I'm thrilled that I've reached over 90K on Dreamer's Sea I'm wondering if I'm just rambling now. What's the point of the story? Have I lost it by making it this long? At this point I just want it done. Over with. Kaput. Adios muchachos. Yet I find myself writing another scene... a scene that probably has no purpose. It was supposed to lead to the conclusion of the story but since I've decided to end the story another way then I wonder if I need this scene at all. Maybe it's time to just put this baby to bed. I'm so eager to start another writing project that at this point I don't even want to look at DS for the edits. Not yet. Sure I can't wait to start my search for an agent, but I don't want to sacrafice my story just to have it done. So today after work I think I'll have to sit down and reevaluate where I am and where the story is heading. The last thing I want to do is to keep writing for the sake of a high word count. I'm already way over what any Harlequin or Silhouette line would take-not that I'm aiming for them necessarily. Well we got about a foot of snow, all said and done, yesterday. It was a treat to shovel it. Luckily we have a snowblower that did most of the heavy stuff. Now I just wish our bleepin neighbors (teenagers basically) would get off their backsides and shovel out their parking spot instead of having their friends just driving through and over the foot of snow that's there or parking in someone elses spot. Oh how I want a house of my own. Winter in New England has returned. Any minute they're going to post that school has been cancelled today. Three kids will be thrilled and one kid will be bummed. But it matters not to me, I'll still be going to work. At least I can walk to work instead of driving. I really need to invest in a pair of snow shoes or cross country skiis for days like this. I'm so close to my 90K mark on Dreamer's Sea! Wow! I've never written anything this long! It's the neverending story. I'm sure that means there'll be tons of stuff I can remove. I don't want it to be a boring story. But I do want it to be a finished story! Because I really really really want to get on with my next story. Oh, yeah, and I'm looking forward to having my baby ripped apart by my crit group. A necessary evil in this biz I've found. School has been cancelled. I think nearly every school in the state will be cancelled. 1.Do you wear a name tag at work? I don't think I ever have. And I'm okay with that. 2.What kind of car do you drive? My primary vehicle is a Chrysler Town and Country which is awesome. Car #2 is an old Dodge Intrepid. 3.What do you order when you go to Taco Bell? I rarely go there but when I do it's usually a Chalupa or a Gordita. Are those even real Mexican food or did TB just make them up? 4.Have you ever had a garage sale? Not personally but I've set up at family member garage sales. They are fun but I hate the clean up in the end. 5.What color is your iPod? I don't have an iPod but I have a silver and black Dell which I really like. 6.What kind of dog do you have? No dog. We live in an apartment. We do have a cat though. She's white. 7.What's for dinner tonight? Yikes. I have no idea. 8.What is the last alcoholic beverage you had? Well, I guess I can't count the teaspoon full of corn whiskey that I tried (POW!) so I guess it would be the gin and tonic I had the other night at my mom's. 9.Stupidest thing you ever did with your cell phone? Not much. My cell has lead a very boring life. 10.Last time you were sick? Now. I'm getting over a very yucky cold. 11.How long is your hair? Just past my shoulders. I'm torn between wanting to grow it out and wanting it shorter. 12.Are you happy right now? I've been happier, but then again I've been sadder. I'm meh right now. 13.What did you say last? "Dress warmly. Winter is back." 14.Who came over last? My father in law, but that was a while ago. 15.Do you drink beer? Occasionally. I like it in summer not so much in winter. 16.Have your brothers or sisters ever told you that you were adopted? Not that I can remember. They were cruel to me in other ways LOL. 17.What is your favorite key chain on your keys? It was the key chain that my daughter brought me from the Smithsonian but it was too heavy. Now it's the snaffle bit that I've had for years and years and years. 18.What did you get for graduation? A new bike and a gold signet ring. 19.What's in your pocket? No pockets, I'm still in my pajamas. I generally don't carry anything in my pockets anyway. 20.Who introduced you to Dane Cook? Some temp workers at my job. They gave me a cd to listen to. I haven't laughed so hard in years (I had headphones on). It finally got to the point where I had to shut it off. I literally laughed until I cried. 21.Has someone ever made you a Build-A-Bear? No, but my kids have made them for themselves. I think if anyone does I want it to be my brother in law. He made one for his neice and went through all the motions just like the kids did. It was great! 22.What DVD is in your DVD player? As far as I know Phantom of the Opera the 2004 movie. I can watch that over and over and over. Gerard Butler is such an awesome Phantom. Christine should've chosen him. 23.What's something fun you did today? This meme. It's too early to have done anything else. 24.Who is/was the principal of your high school? Mr. Burke. He became the superintendent afterwards. I liked him because he got rid of freshman initiation at our school the year I was a freshman. I'm sure he saved me from a horrible fate. 27.What are you listening to right now? Two of my kids bickering. 28.Drinking? my coffee which needs to be heated up. 31.When is your birthday? Not until November and I don't even want to think of it. 33.Where did you buy the shirt you're wearing now? No clue. 34.Is there anything hanging from your rear view mirror? No though I used to have a pagan goddess and a celtic knot. 35.How many states in the US have you been to? At least half of them but I can't remember for sure. We did most of our traveling when I was under the age of 12. 36.What kind of milk do you drink? I prefer skim but I compromise and drink 1% with everyone else in the family. 37.What are you going to do after this? Make sure all the kids are ready for school and then work on my galley corrections for Where One Road Leads. 40.What about your favorite dessert? homemade cheesecake with strawberries. 41.What is something you need to go shopping for? margarine. No one told me we were out. 42.Do you have the same name as one of your relatives? No, I'm one of a kind in the family. In fact I never heard of any other Cerians in the US until I got online. 43.What kind of car does one of your siblings drive? My sister drives a Subaru Forester (as does my mom). 44.Do you like pickles? Depends on my mood. Generally yes. 45.How about olives? Nope, though I did when I was young. Don't know why I lost the love. 46.What is your favorite kind of gum? I used to love grape Bubblicious but now I like any kind of peppermint or cinnamon. 47.What is your favorite kind of juice? orange. 48.Do you have any tan lines? No, I'm pale. I don't tan-I burn, peel then get pale again. Let me know if you play along. I'd like to get to know you better. First of all I want to wish my friend and fellow writer Marianne a very happy birthday!!! I took the day off today with the intention of driving up north to VT to visit my father in law who is recovering from some heavy duty surgery but unfortunatly Mother Nature has foiled those plans with a little freezing rain and sleet (blech). So I can go into work like a good doobee or I can stay home. Yeh, I'm staying home. I have more than enough to keep me occupied, like working on the galley corrections for Where One Road Leads and working on Dreamer's Sea (which is up over 87K now). I've got another story stuck in my brain too. The sequel to Sweet Forever. Blame it on the horse magazines my daughter has acquired. I haven't done a real horse-centric story since Finally Home and even though my SF sequel will feature a horse crazy heroine I'm still ready to come up with something new set in the world of grand prix show jumping. But first (well, first after DS and my galley corrections) I'll concentrate on my cowgirl. Oh, and I have That Kind Of Magic which I'd love to get edited. I guess too many ideas is better than not enough. Even though Dreamer's Sea isn't completed and has to go through the long process of edits I'm still looking around for a prospective agent. There's a great list over at Charlotte Dillon's website. But man, it's a looong list! I guess that's a good thing, the more agents to chose from the better. But it just makes me realize how much work I have ahead of me before I can even send out a query! My first query I ever sent out was to Silhouette and guess what, they wanted to see the entire manuscript. Which wasn't finished. Ya wanna talk about panic to get it done????? Never ever ever do that. Well, that's my opinion anyway. It took too long to finish the story (Finally Home) and it wasn't as polished as I had hoped and therefore (and rightly so) it was rejected. After more time, though, I sent it to Whiskey Creek and they loved it. So no more of that silliness. I don't want to send out any manuscript until it's as perfect as I can get it. But I'm chompin at the bit to get a new book out there!!!!!! That the day after the elections, by say 5pm, every single campaign sign should be removed and recycled in some way. I'm tired of looking at all the signs out there, and this year they seem to have been going to an extreme. Fifteen Hillary signs in one little island. At least that many Edward signs and Obama a close third. Not so many signs from Republicans. I'm just glad it's over. It's nice to be in the limelight for a little while, but now we can go back to being a quiet little state. Well, I'm up over 85K on Dreamer's Sea and still have quite a bit to go. I've bumped my goal up to 90K. Boy, and I was worried that I couldn't get it over 60K. But I really need to turn my attention to WORL to get those galleys done by the end of the month. So, I may have to push my goal of finishing DS back a little bit. But that's okay, it's for a good cause. Just a quick note to say WHERE ONE ROAD LEADS WILL BE RELEASED INTO PRINT ON MAY 27TH 2008!!!!!!! It's that time of the year, or should I say that time of every four years. New Hampshire really enjoys it's first in the nation status, and despite the hubbub I have to say I kind of enjoy it too. Yesterday, here in town, it seemed to have been at it's craziest. McCain returned to town yesterday along with hundreds and hundreds of other people. We had news vans galore, C-Span was parked out on the main street, we had people campaigning for all the other candidates here, we had anti-war protestors. It was nuts. And my mom and I, with all our keen sense of timing-decided to go out for lunch. She had to find a parking spot, finally settling on one about a half mile away from the downtown area, it was that bad. Right next door to the restaurant we chose was Dennis Kucinich in another restaurant but the big action was McCain at the townhouse. Boy, the man sure does know how to draw a crowd! I didn't realize there were that many Republicans in NH. No, I didn't make it on the news this time. I think once in a lifetime is enough. But I think Obama will be in the area today. Our local paper had the ballots posted. I just don't get it. There had to be over a dozen candidates listed on each. Who are all these people and how in the world do they think they have a shot in heck of being elected. Well, I'm sure they don't, but still what's the point? My mom and I had a laugh though. The Democrats have a candidate running named O. Savior and the Republicans have Vermin Supreme. I wonder if that's someone's idea of a joke.. meaning that the Dems are our saviors and the Reps are vermin. I'm sure there are bunches of people who'd agree with that. Okay, I'm up early with the intention of writing. I guess I should turn the light on then although I have a great keyboard that has light up letters. Coffee would be good too. Wet Noodle Posse-Lots of Good Stuff! I think I need this this year! The Wet Noodle Posse had such a great time with our month of Golden Heart prep that we're giving away writing tips...one month at a time. In addition to book and critique giveaways, join Q&A sessions and read guest blogs from bestselling writers like Sherrilyn Kenyon and Gena Showalter. Check out our line-up of topics! You can enter to win Barnes and Noble.com gift certificates by posting this news release on your blog or forwarding to a chapter/group e-mail loop or newsletter. To be eligible, e-mail the particulars of your forward/post to jillmonroe @ cox.net (no spaces) and post no later than January 20, 2008. A random drawing will determine the winner(s) of the gift certificates. Okay, this is ridiculous. I've been living with this cold for about a month now and it's getting old. It did start to go away but then it came back. Yeh, I should go to a doctor but they'll only tell me to get some cold medicine off the shelf and I'll have wasted a copay and an hour-long round trip drive with 4 kids. No, I'd rather ride it out. Oh, and if John McCain gets a cold in the next few days it'll be my fault. I was rubbing elbows with him (literally) at a house party the other day. That was cool, but what wasn't cool was being caught on the national news. Well, that had been a dream of mine way back when, like 20 years ago. Not to rub elbows with McCain but being on television. My writing has come to a standstill. My muse right now is curled up on the couch with some chicken noodle soup, a box of kleenex and a blanket. I, however, have been reading a manuscript that I put aside last year. That Kind Of Magic is actually really good. I'm looking forward to getting back to it. After I finish Dreamer's Sea. Okay, I have to finish DS this month. That is my resolution! Submit DS to agents and snag one. Well, thats a good start anyway. REMINDER: Finally Home is up for Best Romance Book of 2007 in the long ebook catagory over at The Long And The Short Of It . The polls are open now and I'd love a vote. There's a lot of very talented writers over there and I'm so honored to be amongst them. So vote now, but only one vote per person.